Keyless entry systems are all about convenience, but are they making key control more complicated at your dealership? They can be bulky, cluttering up your key control system. In addition, many smart keys (e.g., Toyota, Dodge, BMW) have a built-in valet key that can be separated from the body of the fob. The problem with this design, as one dealer discovered, is that salespeople can remove the fob from their KeyTrak system while leaving the valet key attached to the key tag in the drawer. When a user doesn’t follow the proper checkout process, there’s no record of the key being removed, which can result in mystery miles and increase the dealership’s liability risk. Less Clutter in the Drawer — When KeyTrak drawers are full, having the smart key and its pouch attached to the key tag prevents fobs from jostling in the drawer, helping to keep it tidy. 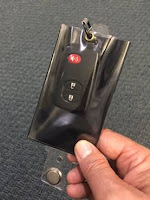 Added Security — The pouch containing the smart key is attached to a key tag via a KeyTrak fastener that runs through the top of the pouch, ensuring the valet key and fob stay attached to each other until the vehicle is sold. 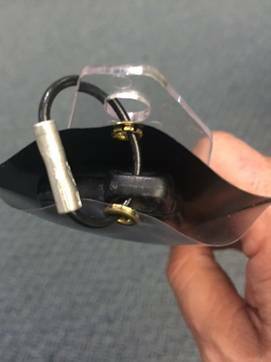 The fastener also prevents users from removing the fob from the drawer without going through the standard checkout process. Fewer Scratches on the Key — The pouch protects the key from getting scratched so the key stays looking as new as the vehicle. The clear front allows salespeople to easily see and press the fob buttons. If you’re a current customer, you can purchase the pouches from our supplies catalog or call 1.800.541.5033 (option 2). Does Your Business Have a Data Recovery Plan?